In conjunction with National Volunteer Week, United Way of Southern Nevada’s Volunteer Center is excited to launch our new training program: Volunteer Leader Institute! VLI empowers individuals to lead service projects for a group, organization, or corporate team. Volunteer Leaders learn relevant leadership skills and theory that will enable them to manage diverse groups of volunteers. Upon completion of Volunteer Leader Institute, individuals will understand how to coordinate the logistics of a project, manage volunteers, track volunteers, and debrief the service experience. This two-hour training is a must for volunteers who want to take their commitment to the next level. All VLI graduates will receive a certificate, and must be willing to serve as a project leader for future UWSN Volunteer Center days of service, corporate service projects, and other events. 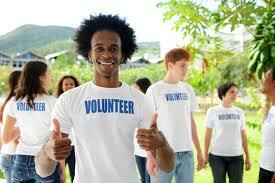 Volunteer Leaders are vital to helping create and facilitate large-scale service opportunities in southern Nevada. The skills gained through the VLI will empower individuals to lead projects with the Volunteer Center and other organizations. The Volunteer Leader Institute kicks off on April 19. Make sure to register early as space is limited to 20 participants. To register, click here.